Benjamin Netanayhu was so worried about losing his job, he made an unscheduled trip to the beach north of Tel Aviv on election day to warn sun seekers against the wave of change lapping at Israel’s shores. 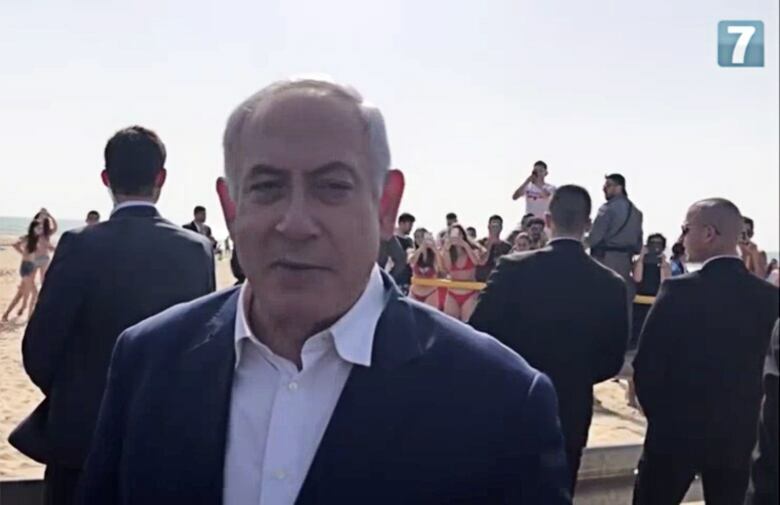 “Get out of the water, leave your homes and go vote for Likud,” Netanyahu told beachgoers, referring to his political party. With four previous terms already under his belt, corruption charges looming and a rare formidable opponent, it seemed as though the Israeli prime minister would, after 10 straight years in power, finally be sunk. But as the final votes were tallied on Wednesday, the man known as King Bibi managed to keep his head above water. While the election results late Wednesday gave 35 seats each to the Likud Party and the upstart Blue and White, Netanyahu is now expected to try to form a coalition government (which in Israel can be a long and complicated affair). “I’m very touched that the people of Israel gave me their vote of confidence for the fifth time, and an even bigger vote of confidence than previous elections,” Netanyahu told cheering supporters in Tel Aviv. The campaign was seen as the most mean-spirited in Israeli history, boiling down to a referendum on Netanyahu’s leadership, with insults exchanged by party leaders who largely traded in campaign rallies for videos posted on Facebook and Twitter. Netanyahu’s message to voters was simple: There is no one else who can keep Israel safe from the threats that come with living in the volatile Middle East — threats from Iran, rockets fired by militants in the Gaza Strip and the suspect activities of the Shia militant group Hezbollah, operating in both Lebanon and Syria. In past votes, there had been no clear challenger to the prime minister, especially from the left — once a political force in Israel that has weakened dramatically in recent years. But this time around there was a new player in the mix, in the form of Benny Gantz, a former military general who knows Israelis want their leaders to exude “tough.” At six foot four, and with a resumé as a career soldier who led Israel’s military as its chief of staff, he fit the bill for many. Gantz played up his security credentials while also promising to lead a clean government. But those who wanted change, in the end, fell short. “I thought that there would be more of a protest vote — it doesn’t seem like it,” said Dahlia Scheindlin, a Tel Aviv-based political analyst and pollster. “Just less than half of the Israeli electorate voted for parties that wanted to change and wanted to move in that more liberal democratic direction,” she told CBC News. The Netanyahu-Gantz split largely played out geographically, election watchers noted, with Netanyahu winning most of his support in conservative, religious Jerusalem, while Gantz fared better in Tel Aviv and its suburbs — secular, liberal enclaves along the Mediterrean Sea. The push for a fresh face to lead Israel also came from the Jewish diaspora, where Netanytahu’s record of turning to right-wing and ultra-orthodox parties for support has disappointed more liberal Jewish communities, including those in Canada. 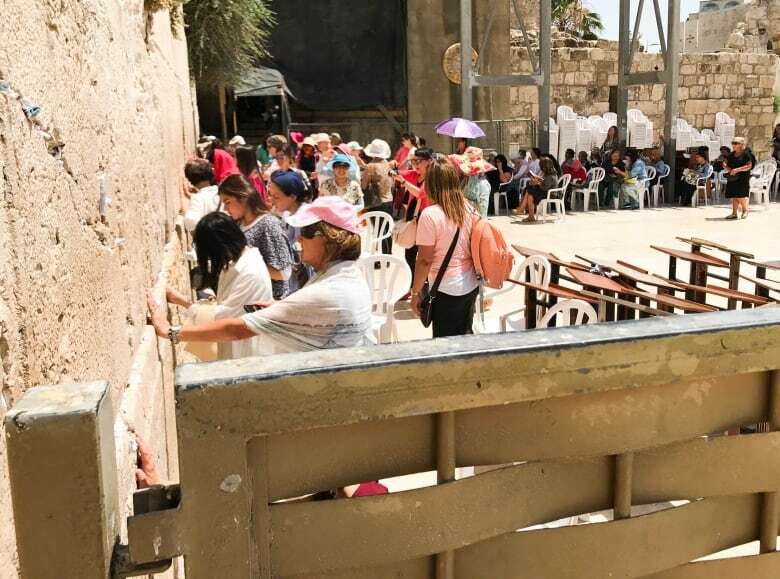 Many Jewish Canadians have complained that Netanyahu has driven a wedge between Israel and the diaspora, notably after he backtracked on a plan to offer anegalitarian prayer space at the Western Wall in Jerusalem, the holiest site where Jews can pray. For those Palestinians watching the election from the occupied West Bank or Gaza, Netanyahu’s victory was met with a sigh. With peace with the Palestinians virtually a non-issue in the campaign, few expect a breakthrough, especially since there have not been direct negotiations between the two sides since 2014. If there is any change in Israeli politics, it could take one of two forms. While Netanyahu faces difficult talks aimed at building a coalition, Israel’s attorney general is deciding whether to lay corruption charges against him. A final decision is expected after a hearing in the upcoming months where Netanyahu is expected to argue that he should be spared, out of the national interest. There is also talk in political circles that the prime minister may try to pass a law granting himself immunity from trial. The potential charges leave the leaders of other parties with a difficult choice. “Do they want to join a government under a prime minister who is all but certain to be indicted for accepting bribes, fraud and breach of trust, and whose term will be ended, in any event, within the space of a year?” asked political commentator Shimon Shiffer in the Yedioth Ahronoth daily newspaper. If Netanyahu survives, he might be emboldened further. “There is little reason to expect dramatic changes in Israeli policy,” said Ofer Zalzberg, a senior analyst with the International Crisis Group.